Dice your onion and sautee in oil for 3 minutes in a pan, or until carmelized. Then add your two cups of spinach with your onions and sautee until wilted. In a bowl, whisk your eggs and milk together with garlic, salt, and pepper. 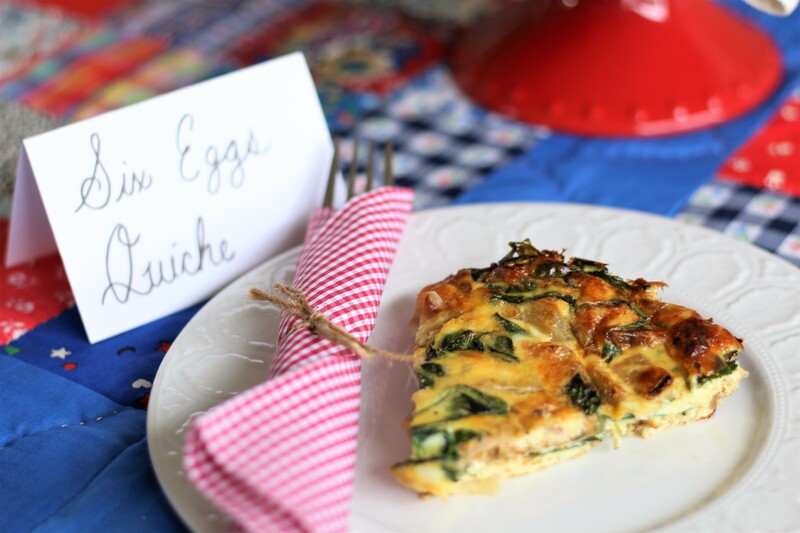 Mix your egg mixture with your vegetables, then pour into quiche dish. Place in oven 40-45 minutes.